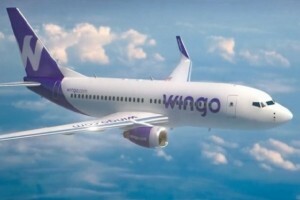 PANAMA CITY – Copa Holdings, the parent company of Copa Airlines, has launched low-cost carrier Wingo which will offer flights to 16 cities in 10 countries throughout South America and the Caribbean. Wingo will begin operations on December 1, servicing Panama, Cuba, Aruba, the Dominican Republic, and Venezuela, among other countries. Most of these flights were previously operated under the Copa Colombia business model. A fleet of four Boeing 737-700 aircraft, each with single class seating capacity for 142 passengers, will cover the route network. “We are proud to launch Wingo, which diversifies and expands Copa Holdings’ business and operational models, allowing us to better serve a market segment where many opportunities for growth and development still exist”, said Pedro Heilbron, CEO of Copa Holdings. Catalina M Bretón, who has more than 12 years of experience in strategic planning, corporate and commercial management in the airline industry, will lead Wingo, with the goal of making it a successful and growing venture. Tickets went on sale on October 20.